The shipping time frame is often a major concern of customers, and while vehicle transport companies strive to meet the commitment, there’s no denial that trucking business is unpredictable. Be it domestic or overseas shipping, a lot of factors come into play to determine the shipping time frame of a vehicle. Whether you are shipping your vehicle for the first time or have prior experience, it is imperative that you know everything about the factors that play a key role in deciding the shipping time frame of vehicles. The blog post briefly covers the main components that influence time frame in auto shipping. Read on. The lead time or the number of hours the driver would take to deliver the vehicle is related to three primary aspects. Let’s take a look. 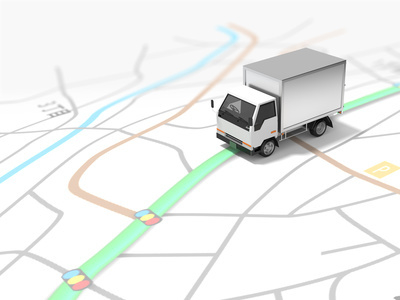 Location – If the car is being shipped on common routes between major cities and hubs, the delivery time would be less. It may, however, take the vehicle a significant amount of time to reach its destination, if it has to cover small towns or remote areas. Season – If you are shipping the vehicle in spring or time of the year when people move the most, you are likely to end up paying more for the service. Size of the Vehicle – If auto shipping company ships multiple vehicles in one trailer, the delivery time would vary according to the size of the vehicle. Most car haulers can accommodate up to four SUVs in big trailers, which means larger the vehicle, longer the lead time. Auto transport companies use small car haulers for a short-distance move, which means the car will be picked up and delivered in less time. If the move is long-distance, the company usually loads vehicles in a large car hauler, which may increase the transit time. The type of trailer – open or enclosed – also impacts the transit time. The government imposes a daily driving limit of 11 hours on all commercial vehicles, which means a driver can not cover more than 650 miles in one day. The shipping company can get team drivers to deliver the vehicle in less time, but the service comes at an additional cost. The unpredictable nature of trucking business often makes it difficult for shipping companies to commit a specific delivery time. There could be delays because of vehicle breakdown, weather or other emergencies, which no auto shipping company can predict when promising a time frame to the customer. While a shipping company can ensure minimum or no lag by maintaining its fleet of vehicles and hiring experienced drivers, customers need to communicate their preferences such as a specific delivery time or other requirements to assist the timely delivery of the vehicle. At EasyHaul, we have shipped thousands of vehicles, and can help in making your next move hassle-free. We have a comprehensive tracking system to give customers a peace of mind when shipping their vehicle to an overseas destination. If you want to learn more about our services, call us at +1 (360) 597-9320. You can also visit our website and request for a free shipping quote.